One thousand years ago, give or take, Russian Slavs had largely displaced the Scythian nomads of Iranian-Assyrian descent along the Eurasian Steppe. The Russian warlords had ambitions of conquering Kiev, so yeah, not much has changed in all this time. However, the stout-hearted Lutobor has more pressing problems than empire building. He must rescue his wife and daughter from a band of assassins known as the “Wolves of Ares” in Rustam Mosafir’s The Scythian (trailer here), which screens during the 2018 Fantasia International Film Festival. The Scythians’ days are numbered, but they are not going down without a fight. Making a bold play, they kidnap Lutobor’s family, demanding he assassinate the prince in exchange for their safe return. Lutobor remains loyal, but the Prince’s hatches a scheme to feign his slow death from poison to smoke out the conspirators. Unfortunately, his trusted lieutenant will have to become a fugitive from feudal judgement. His only ally will be Marten, a Scythian warrior betrayed by his own comrades during the raid on Lutobor’s compound. 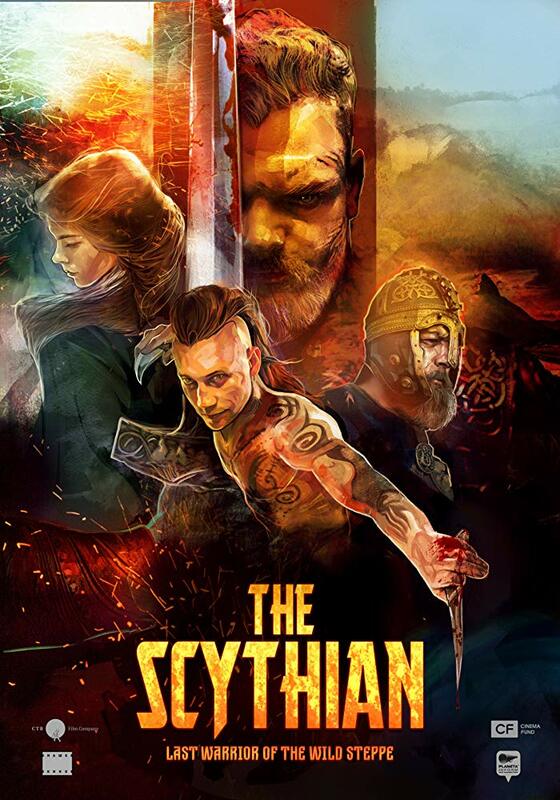 If you have been craving hack-and-slash action, there is plenty in The Scythian. It is also loaded to the gills with weird pagan imagery. On the other hand, the logic is a little light. It never makes much sense that Marten would so immediately and decisively align himself with Lutobor, but so be it. Don’t bother looking for strong women characters here either, because it is a product of its environment. As for the guys, there are a lot of them, but only three or four really register. Aleksey Faddev has the brawn and action chops for Lutobor, but Aleksandr Kuznetsov is a much stronger screen-presence as the mongoose-like Marten. It is hard to miss the significance of the Christian proto-Slavs mastering the wild steppe. Even more fundamentally, that this Russian production would opt to identify with the pillaging hordes is even more telling—whereas in the West, our sword & sandal flicks usually feature heroes of Greek or Roman civilization, instead of rampaging Vandals. Granted, the ending somewhat deconstructs its own heroic Slavic mythmaking, but that probably just left its target domestic audience confused. So, mind your steppe everybody. Frankly, The Scythian is such an oddball train wreck of symbolism it really is worth seeing. 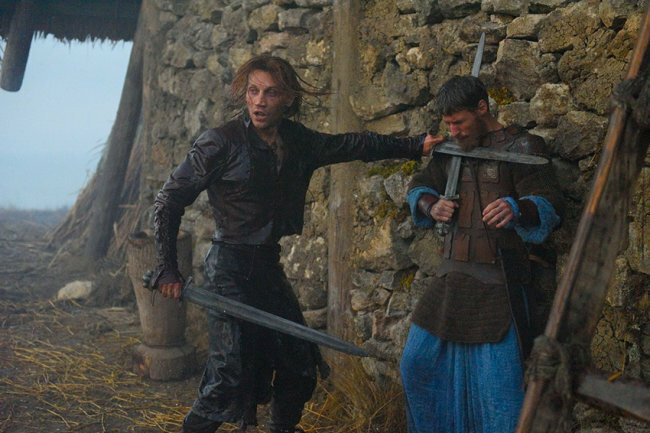 More importantly for most well-adjusted viewers, the fight scenes are definitely staged with gusto. This is a film that would make MSNBC’s talking heads wet their pants, because it combines rampant unchecked testosterone with barbaric Robert Spencer-alt right hair-styles. Recommended for Donald Trump and the curious, The Scythian screens again on Thursday (7/19), as part of this year’s Fantasia.